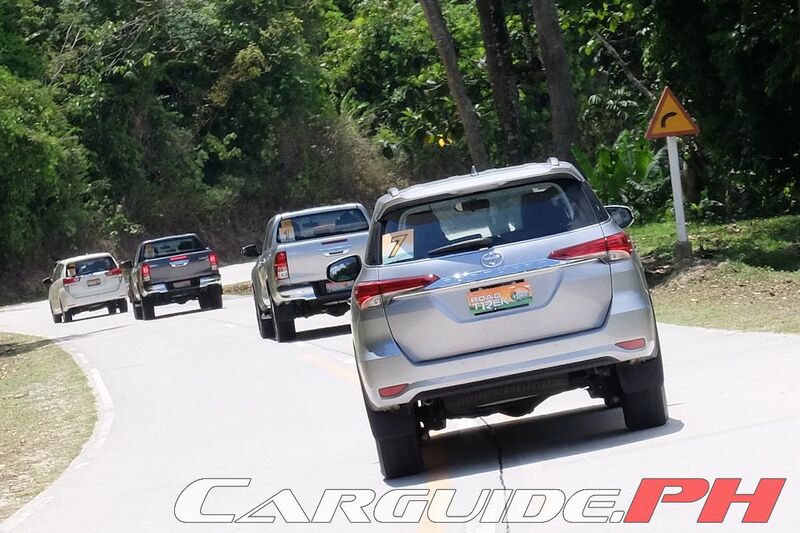 Just How Fuel Efficient Are the New Toyota Fortuner, Innova, and Hilux? 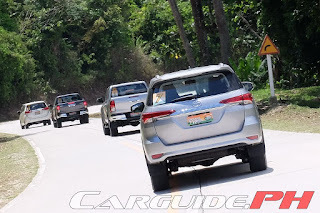 Bringing out their second-generation IMV or Innovative Multipurpose Vehicle to its first long-distance road trip at the annual Toyota Road Trek, Toyota Motor Philippines took the opportunity to test the real-world fuel mileage provided by the new GD-series diesel and Dual VVT-i equipped TR-series gasoline engines. Then, they told the media to beat these results, only relaxing the rule on air conditioning (but most kept them on since the drive took place midday). Toyota even put in weight ballasts for teams who were composed of only three members. Driving on unfamiliar roads, they set a 60-minute limit to get from Toyota Puerto Princesa to Astoria Palawan. Comparing the results with Toyota’s benchmark, it’s clear that the media could coax out more mileage per drop of fuel (in terms of percentage) when the GD-series engine is mated to an automatic transmission. The Top 5 (a mix of Hilux, Fortuner, and Innova) are all equipped with Toyota’s new 6-speed automatic. It must be noted though that Toyota’s product planners could get more with the manual transmission models perhaps because they went through the same course repeatedly, and familiarity with the terrain helps a lot during fuel economy runs. Of course, this real-world test presents an interesting fact to would-be Toyota buyers. Unless you know a particular terrain/location by heart, getting your new Fortuner, Hilux, or Innova with an automatic gearbox is a surefire way to get the most out of every drop of fuel. What type of diesel fuel did they use on the trip? ^Toyota is not volkswagen or mitsubishi... they dont cheat, right? My 2013 fortuner got 6kml ever since. Pure city driving. Everybody cheated but only a few admitted. for the fort GAS variant, 6kml is absolutely true. But for the old 2.5 d4d, it should be 9 - 14km/l. Thanks for the info regarding the fuel consumption of our fortuner 2015 model. I'm glad to know that. We get only 4.1 km per liter with 2.7 4x2 g a/t. Is it really the average consumption? Thank you! hi... how about fortuner, how many kilometers can consume in 1 liter? Dito ko napatunayan ko na mas matipid pala pag parating nakafulltank ka. Logic dictates that carrying a full tank of gas will increase gas consumption dahil mas mabigat ang karga mo. The weight of 80liters of fuel is 60Kgs. 1 liter = 1kilo therefore 80liters = 80 kgs..